Guarded doc with a heart of gold Dr Adam Coulson's dream is to reopen the local hospital in Regina, out of sheer dedication to his patients. But after an expensive divorce he's forced to sell it, just to keep his GP practice open. Enter new owner: gorgeous redhead Dr Erin Glover. Working next door to each other isn't easy. 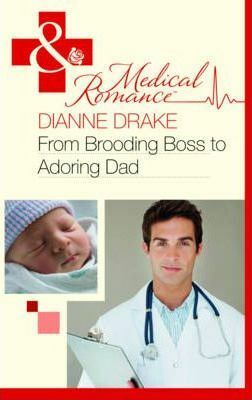 Until one glimpse of the brooding doc's rare but unforgettable smile convinces Erin that Adam is a doctor - and a man - in a million. And Erin's unwavering passion makes Adam realise that there is nothing they can't do together - including becoming loving parents to a child in need!